O&M CØR is the next generation in Ammonia, PPD and Resorcinol-free professional hair color. 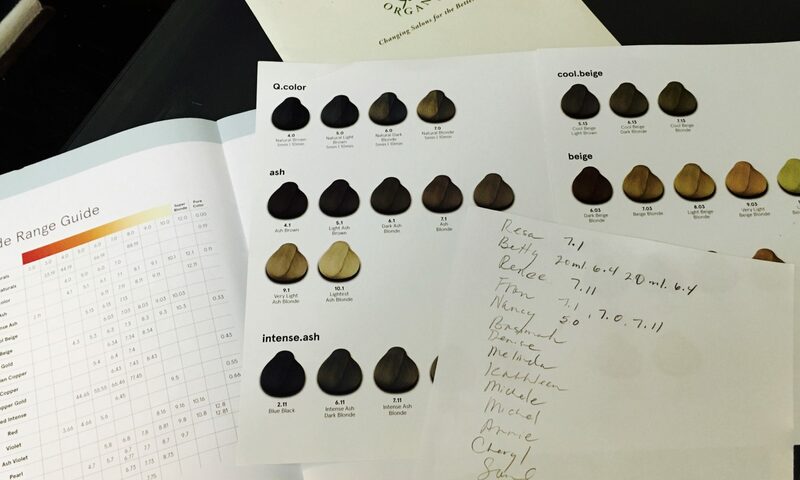 I stumble across CØR.color this year and was flabbergasted by this toxic free hair color and as a result I am currently moving all my clients to this amazing hair coloring. It’s called CØR because color is the core of the brand. By the way, Ø at the heart represents their commitment to making the cleanest color in the world by eliminating harsh chemicals. Ammonia a is typically used to swell the hair and open the cuticle scales to allow color to penetrate deep within the cortex. Yes, for anyone with sensitive skin or scalp, this could be an unhealthy additive. They’ve replaced it with MEA – an alkalizing agent that mimics the role of Ammonia, minus the odor, irritation, and cuticle damage. PPD (Paraphenylenediamine) is a chemical know to cause dermatitis, reddening and swelling of the scalp and face. They’ve replaced it with low levels of PTDS (p-Toluendiamine Sulfate), enabling up to 50% of PPD allergic stylists and clients to now use color. Resorcinol is a popular coloring agent toxic to wildlife and the human immune system. Shade dependent, they’ve replaced it with 2-Methylresorcinol or 4-Chlororesorcinol – two chemicals kinder to the environment and with less potential to sensitize. Needless to say, I am moving all my clients this line because not only is it safe and has 100 beautiful shades, it covers gray and is as gentle a color can be. HEALTHY SCALP EQUALS HEALTHY HAIR! BEAUTY’S NOT ONLY SKIN DEEP! HAIR COLOR OR KERATIN TREATMENT? YELP.. Also, see not recommended reviews.